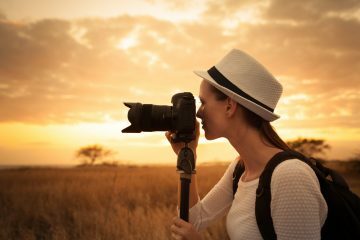 Choosing the best lens for travel photography will not only affect the quality of your images, it will also have a direct impact on the overall experience of the destination you’re photographing. Our goal at The Adventure Junkies is to provide you with the best advice on travel photography lenses to help you pack the right gear for your next trip. One of the biggest challenges of choosing a lens for traveling is finding one that covers an array of subjects. The importance of the versatility of a lens will allow you to focus on the type of subject that you are most interested in and also eliminate weight in your camera bag. Before selecting the right lens, consider the possible scenarios you will encounter when traveling to your destination. Think about the location you’ll be visiting and the style of photography you’ll be shooting, and based on this select the type of lens that best suits your needs. 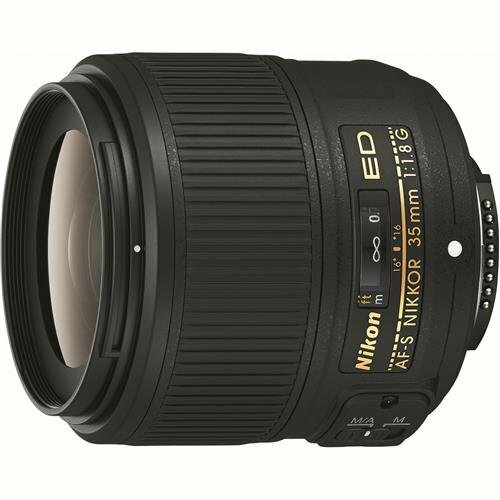 Wide angle lenses are best used for interior, landscape and nature photography as the focal length is significantly smaller than average allowing you to include more of the scene in your frame. Simply put, a telephoto lens is a long lens that allows you to take photos of objects that are farther away without being intrusive. 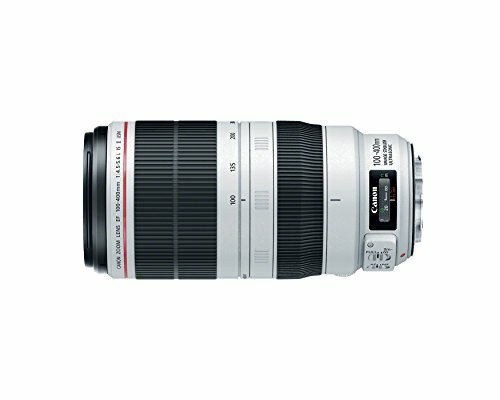 Telephoto lenses are ideal for portrait and wildlife photography. A macro lens is a close-up lens that gives a 1:1 reproduction. 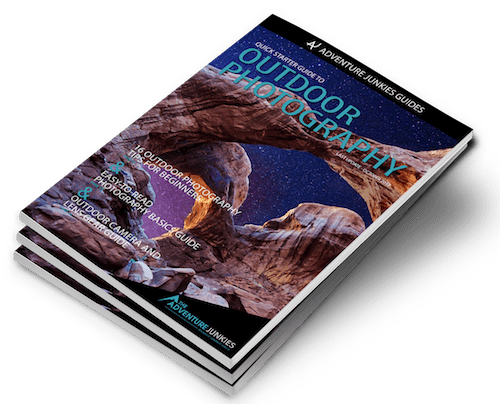 Best used for nature, portrait and abstract photography. 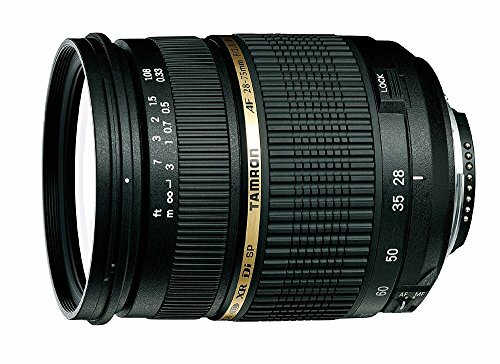 Continuing with the focal length, another variable to take into consideration when selecting the best lens for travel photography is understanding the difference between prime and zoom lenses. 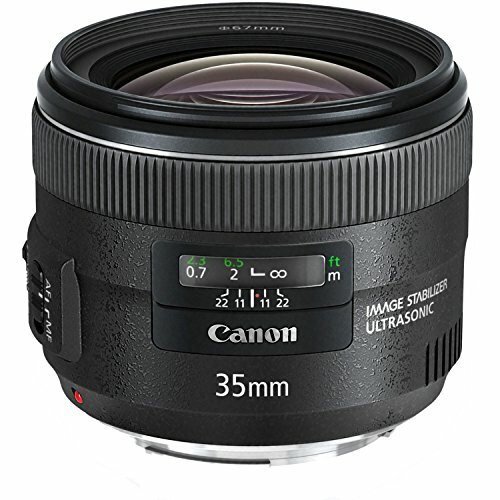 Prime lenses have a fixed focal length such as 35mm or 50mm. The main difference between a prime and a zoom is that, with a prime lens, you will not be able to make the object appear bigger or smaller within the frame. You will have to be the one moving farther or closer to the object to obtain the desired result. The advantage of prime lenses are that they are usually more compact and light weight making them ideal travel companions. They also offer maximum aperture options allowing you to shoot in low-light conditions and creating a shallow depth of field. 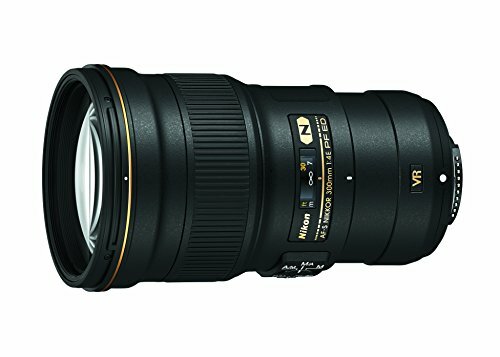 A zoom lens, has a variable focal length, like 18-50mm or 70-200mm. While somewhat heavier and bulkier, zoom lenses are more versatile and can cover much of the travel photographer’s needs from landscapes to even close-up pictures. The aperture defines the amount of light that is allowed onto the sensor and it is measured in f-stops (i.e. f/4 or f/16). It also directly affects the depth of field or, in other words, how blurry you want the background to be compared to the subject you’ve focused on. When traveling, you will find yourself shooting at different times of the day and carrying a lens that lets more light in the sensor could make all the difference. Fortunately, faster lenses have become more affordable and you can now find them with a constant aperture of f/2.8 for a reasonable price. 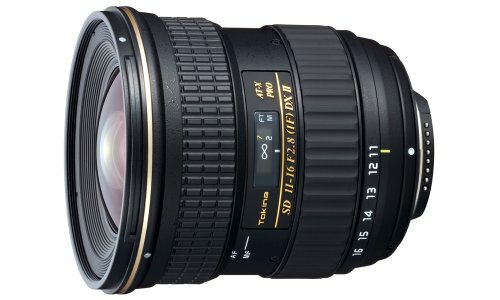 You will have probably noticed that some lenses have the (IS) symbol written on the side. What does this mean? IS stands for Image Stabilization and, as the name implies, IS is a system built into the camera to help reduce the blurring of the exposure that is usually associated with shooting in low light conditions. When traveling and, as mentioned earlier, you will most likely face situations where the light will be dimmer than usual. 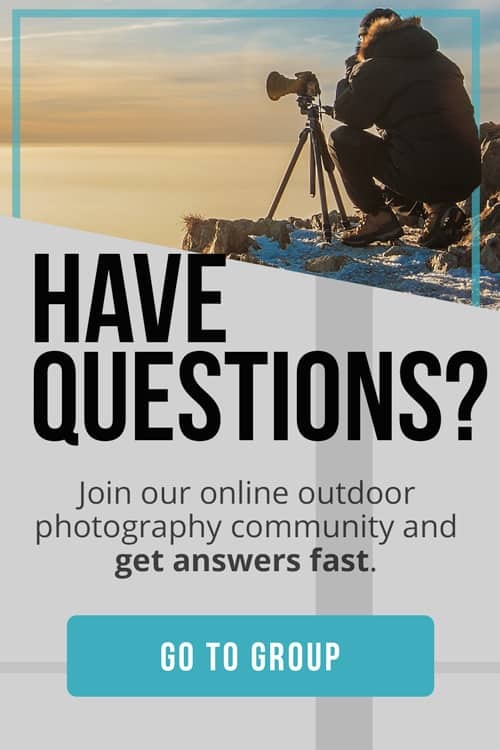 It could be a sunset out in the forest, a sunrise over a volcano or the Milky Way in the middle of the desert, and in any of these instances you will need to slow the speed of the shutter to let more light get in your sensor. With lower shutter speeds also comes the potential risk of getting some camera shake and ruining that special moment you had been wanting to capture for so long. Having a lens with image stabilization, along with a tripod, will drastically reduce the appearance of blurriness in your photos allowing you to shoot in dimmer light conditions. So, when choosing the best lens for travel photography always be sure to find the (IS) symbol written on your lens. 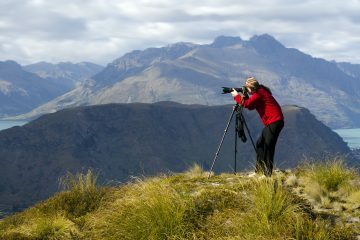 As a travel photographer you will be carrying not only your lens with you but also other equipment such as the body of your camera, a tripod, a flash, filters and even camping gear. Keeping your backpack’s weight to the bare minimum is essential when traveling. Hence, the importance of choosing a light-weight lens that will cover an array of styles while you’re shooting your subject. 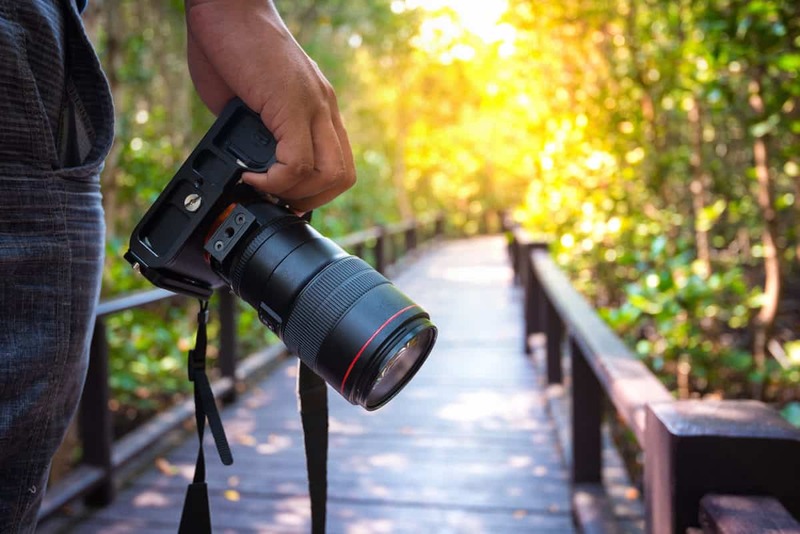 Ideally, try to keep the weight of your lens to 1lb (500mg) or less, especially if you plan on taking more than one lens with you on your trip. The cot of the lens is also a factor to take into consideration when choosing the right gear for travel photography. 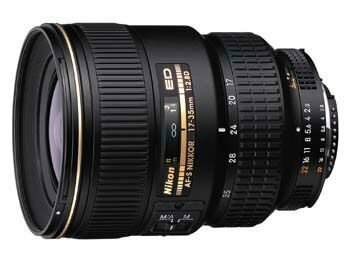 While lenses can be pricy, it is always best to invest more in your lens collection than the camera body. Why? It is likely you will replace your camera body over time as manufacturers add new features to them every couple of years. Good lenses, on the other hand, tend to pass the test of time and remain part of your gear for several years. Invest money on a good lens that will last, at least, a decade. 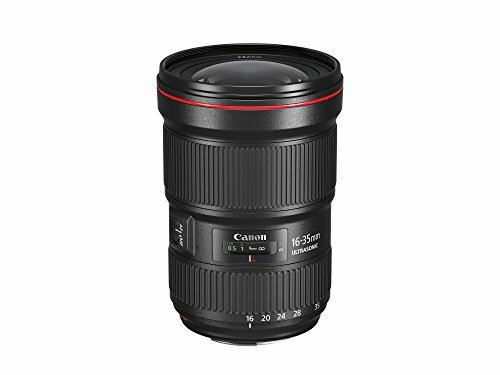 Going back to the features mentioned earlier, prime and fast lenses will cost more but produce sharper results. 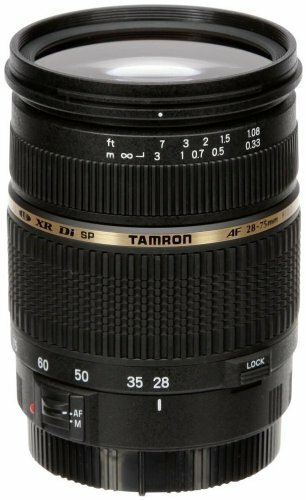 Zoom lenses are usually more affordable but may not be as fast and tend to be bulkier as well. 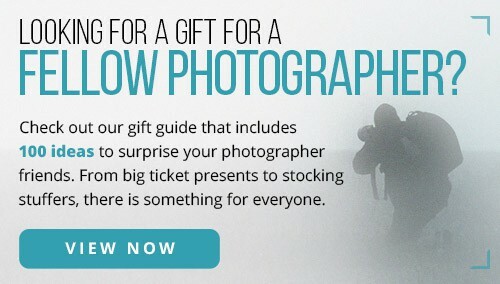 At the end of the day and as, National Geographic’s contributing editor Jim Richardson mentioned, it all comes down to the style of photography you’ll be shooting while traveling, how willing you are to becoming a “pack mule” as he calls it, and how much money you can afford to invest in your gear.